The initial step in preparing for any strain or force measurements is the selection of the appropriate strain sensor for the task. It might at first appear that strain gage sensor selection is a simple exercise, but quite the opposite is true. Careful, rational selection of gage characteristics and parameters can be very important in: optimizing the strain gage performance for specified environmental and operating conditions, obtaining accurate and reliable measurements, contributing to the ease of installation, and minimizing the total cost of the gage installation. 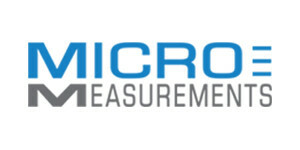 Micro-Measurements offers a wide variety of strain gage sensors constructions and designs for stress analysis as well as transducer manufacturers. Occasionally even this selection is not sufficient and there is a need for a custom strain gage. Micro-Measurements produces hundreds of custom strain gage sensors for both stress analysis applications as well as transducers. Obtaining a quotation on a custom strain gage is not difficult. We need a simple sketch of the strain gage layout showing important dimensions. This sketch can be hand drawn – it does not need to be formal. We also need to know the gage operating temperature range as well as desired grid resistance(s). After receiving this information, one of our customer service representatives will send you a quotation and formal drawing for approval. Once approved, they will provide you with a custom ordering designation. Typically new gage designs require a one-time set-up charge. 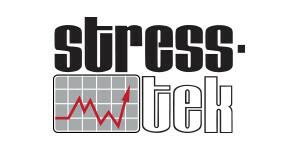 A typical custom stress analysis gage may be similar to a catalog gage except for perhaps a non-standard resistance, custom alignment marks, special lead wire or oversize/relocated soldering tabs. Custom Transducer-ClassTM and advanced sensors strain gages may have similar feature requests to stress analysis gages but more often the custom feature requested is designed to reduce installation labor. Examples are pre-applied adhesive on the gage backing, tray packaging for fast gage removal, dual grids with custom spacing, or even multiple gage grids interconnected as one “assembly”. For example, strain gage transducers typically employ a set array of strain gages, resistor(s) and terminals that are precisely located and connected together by individual wires. This is a labor intensive operation, both for component positioning and for wiring. For high volume production applications, having all of these connections already made on the strain gage itself can be a distinct advantage. Typical examples are compact full bridge diaphragm strain gages where the gage grids are closely spaced. On larger transducers the gage locations would require a strain gage pattern that is too large to be economically feasible. This is where an assembled strain gage can be helpful. Figure 1 shows a strain gage assembly, complete with a nickel modulus compensation resistor. It is designed for use on a 1 inch (25 mm) diameter tube that is loaded in tension/compression. Two T-rosettes are located at the required distance to place them 180 degrees apart on the tube after installation (see Figure 2) They are pre-connected to a flexible terminal strip that includes a nickel modulus compensation resistor, wiring terminals, and four connected bridge corners for zero and zero TC correction. When compensation is required (determined after initial testing) any one of the four corners can be opened by cutting the connecting bar. Once opened, the bridge corner can be accessed for insertion of bridge compensation wire. Printed circuit terminations are another popular option for both transducer and stress analysis applications. This option provides for remote leadwire termination, away from the gage site, and is particularly useful in applications with difficult access to the bonded gage, or when having solder connections near the gage would either compromise the testing or make for difficult final assembly of the structure being tested. For example, a small strain gage assembly including a temperature sensor and long printed circuit termination works well when testing the combustion area of an internal combustion engine cylinder head. The gage assembly can be kept small and especially thin, with the thin printed circuit easily sandwiching between the head and block, providing external leadwire attachment. Due to their individuality, all assembled strain gages are custom-made for each application. If such a strain gage design would be helpful in your transducer application, we would be pleased to offer a quotation.